- colour and use to keep track of your commitments and social life. May Icons - These icons are designed to be used as each event is explored. 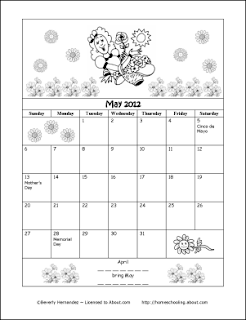 The icons can be glued onto the May Coloring Calendar.